Organised between the Birkbeck Centre for Nineteenth–Century Studies and Watts Gallery – Artists’ Village, this two-day symposium will include an opportunity to tour the exhibition ‘Christina Rosetti: Vision and Verse’ at Watts Gallery and a launch of the new digital edition of Goblin Market edited by Lorraine Janzen Kooistra and Anthony Harrison. Christina Rossetti’s (1830-1894) poetry has inspired visual artists since it first began to be published in the 1840s. Artists who made designs to accompany her poetry in illustrated books include her brother Dante Gabriel Rossetti, Frederick Sandys, Arthur Hughes, Laurence Housman and later Florence Harrison, Lucien Pissarro and Charles Ricketts. Those who engraved these designs include the prolific Dalziel Brothers firm and Joseph Swain. This Autumn Watts Gallery – Artists’ Village will hold the exhibition ‘Christina Rossetti: Vision and Verse’, which is accompanied by a new publication Christina Rossetti: Poetry in Art (edited by Dr Susan Owens and Dr Nicholas Tromans, Yale University Press). To coincide with the exhibition, this two-day symposium will bring together established and emerging scholars in the field to examine Rossetti’s work in the context of the mid-nineteenth-century illustrated poetry book. How did poets collaborate with publishers and artists in the production of illustrated poetry books? What role does ornament play in the formation of meaning? How did women poets work with illustrators and publishers? Abstracts of 350 words and biographies of no more than 100 words should be sent to Tessa Kilgarriff at assistantcurator@wattsgallery.org.uk by Monday 1 October 2018. Papers should be 20 minutes in length. Four postgraduate bursaries are available. Each bursary will cover registration for both days and up to £60 towards travel expenses. To apply for a bursary please send a two-page CV and a 300 word supporting statement in addition to your abstract and biography. In the 300 word statement, applicants should explain the reasons why they are seeking financial sponsorship and how attendance at Rossetti and the Illustrated Poetry Book conference will contribute to their research and professional development. All application materials should be sent to assistantcurator@wattsgallery.org.uk with ‘Rossetti bursary application’ under the subject line by Monday 1 October 2018. Any enquiries should be similarly addressed. on of John Stuart, 3rd Earl of Bute (1713-92), and runs at both venues until 14 January 2018. The symposium will be held 2-4 October 2017 at The Hunterian and Mount Stuart. Full details, including instructions for submitting proposals, are available here. Longstanding RIN member Dr Bethan Stevens of the University of Sussex has recently launched a new website, ‘Woodpeckings: The Dalziel Archive, Victorian Print Culture, and Wood Engravings’. Brothers George and Edward Dalziel were the founders of Dalziel Brothers, nineteenth-century London’s most substantial wood engraving firm and the producers of illustrations for a huge range of printed materials, from books to packaging. According to the site, ‘The Dalziel Archive in the British Museum is a visual archive of the firm’s oeuvre from 1839 to 1893: around 54,000 fine burnished proofs kept chronologically in albums. The albums offer a new path into 19th-century wood engravings, usually approached exclusively through designers or the texts that they illustrated’. Developed as part of the AHRC-funded Dalziel project in partnership with The British Museum and Sylph Editions, the site contains a virtual exhibition, recordings of research events and links to extended catalogue descriptions of every album in the Dalziel Archive. The Macready-Dickens screen is a four-leaf, folding scrap-work screen that was created at Sherborne House, Dorset, by William Macready and Charles Dickens (according to family report) in the 1850s. The screen was donated to the Trustees of Sherborne House by Sir Nevil Macready. It has just been restored and conserved and will shortly go on display at the Sherborne Museum. Covered with almost 500 images cut from prints, it provides a unique window onto the world of nineteenth-century theatrical, literary, historical and political cultures. Approximately 70% of the images have so far been identified. The website has been created to provide for public display of the screen. It enables users to study individual images in detail and provides research information about them where it is available. It forms an ongoing resource for anyone interested in Macready, Dickens or the ways in which Victorian objects relate to the lives of those who owned or made them. ‘Staging Shakespeare: picturing Shakespeare’s plays in the 18th and 21st centuries’. Join us for an event to celebrate Shakespeare’s 400th Anniversary, with a free public lecture followed by a wine reception (sponsored by the British Association for Romantic Studies). Download the poster at https://romanticillustrationnetwork.wordpress.com/2016/05/03/rin-event-fred-burwick-staging-shakespeare-public-lecture-at-westminster-archives-july-19th-2016/. RIN member Fred Burwick will share his expert knowledge of the Boydell Shakespeare Gallery, opened in Pall Mall in 1789. The talk will examine the extent to which any of the scenes in the Boydell Gallery might be presumed to represent how Shakespeare was actually performed during the period, and also consider present-day models of representation. 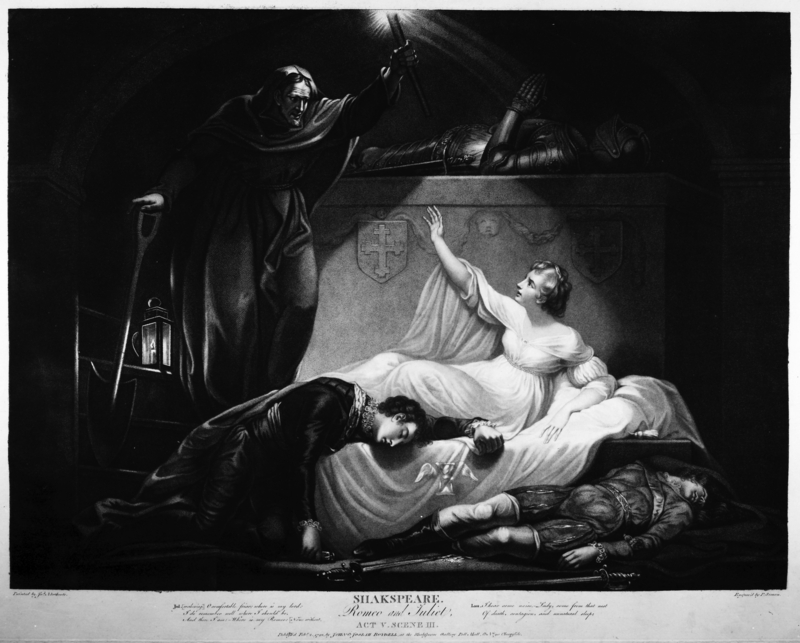 Prints from the Gallery will be on view, as well as a display about Shakespeare. Join us for an event to celebrate Shakespeare’s 400th Anniversary, with a free public lecture followed by a wine reception (sponsored by the British Association for Romantic Studies). Download the poster here.